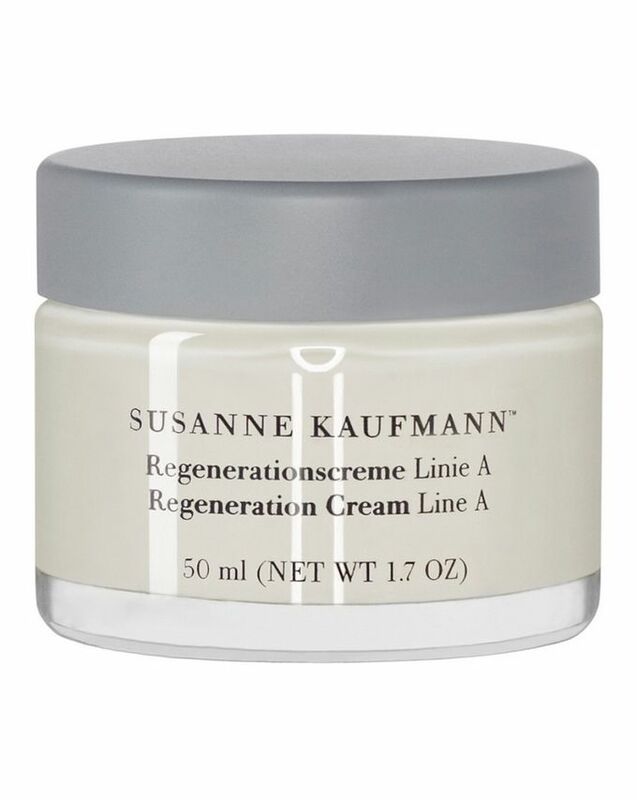 Painstakingly developed to repair, restructure and regenerate during resting phases, Susanne Kaufmann’s Regeneration Cream Line A is a rich, overnight treatment which works to reverse tell-tale signs of skin ageing. Starring an ‘intelligent’ combination of potent botanical actives – developed through years of painstaking research and rigorously trialled – this supercharged, skin-nourishing formula is brimming with bioflavonoids; potent, free radical-fighting antioxidants which combat the effects of oxidative stress, to protect and correct signs of DNA damage. Regenerative ectoin works to kick-start cells’ repair and renewal processes – while broccoli and meadowfoam seed oils, alongside elasticity-enhancing argan oil and shea butter – combine to bolster skin’s resilience and fortify its fabric. White lupin blossom extract then stimulates collagen-synthesis, so skin swiftly becomes considerably less lined, with a smooth, firm and ‘plumped up’ appearance. Just massage into clean skin every evening, or apply in the morning as a potent, intensively hydrating day cream if your skin is particularly parched. Apply to the face, throat and décolletage in the evening after cleansing. 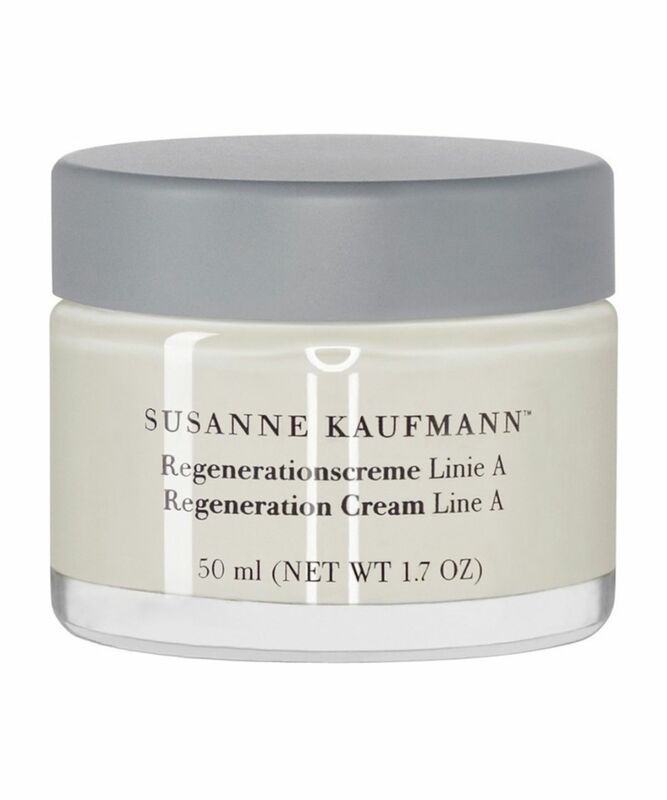 The Anti-Aging regeneration cream Line A contains all important active ingredients to protect the skin against the first appearances of aging. Aqua (Water), Caprylic/Capric Triglyceride, Dicaprylyl Ether, Glycerin, Sodium Levulinate, Sodium Anisate, Cetearyl Ethylhexanoate (And) Isopropyl Myristate, Polyglyceryl-3 Polyricinoleate, Hordeum Vulgare (Spent Grain) Extract, Butyrospermum Parkii (Shea Butter) Fruit Extract, Argania Spionosa Kernel Oil, Brassica Oleracea Italica (Broccoli) Seed Oil, Saccharide Isomerate, Polyglyceryl-3 Diisostearate, Hydrogenated Castor Oil, Limnanthes Alba (Meadowfoam) Seed Oil, Rosa Canina (Rose Hip) Extract, Rosmarinus Officinalis (Rosemary) Extract, Tocopheryl Acetate, Ectoin, Sodium Chloride, Magnesium Stearate, Sericin, Aqua Purificata, Cera Alba (Bees Wax), Parfum (Fragrance), Citric Acid, Dihydroquercetin, Alcohol Plant, Glycosphingolipids, Sodium Hyaluronate.